The Workspace Manager dialog box lets you customize a selected workspace, create a new workspace, and organize and rename a workspace. For tasks related to this dialog box, see Creating a Workspace. Displays a list of the available workspaces. Lets you organize the list by moving a selected item up or down the list, as well as add and remove items from a selected workspace. Lets you rename the selected workspace. 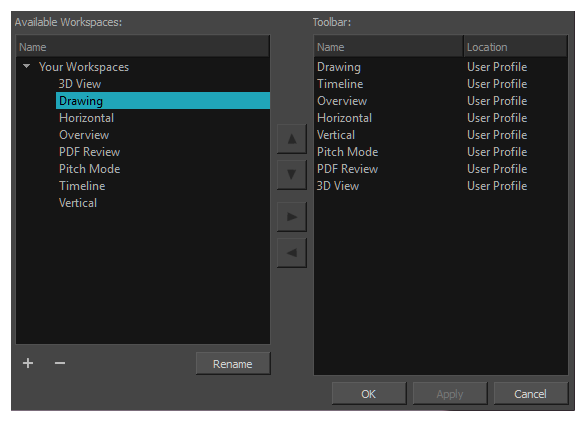 Displays the toolbars available in the selected workspace.